My family goes to the parks often….that’s no secret. 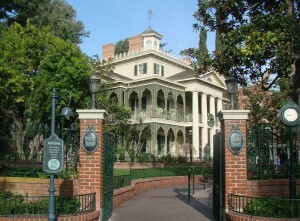 And, for several years, we traveled to Disneyland every 3 years – starting in 2003, then 2006, and then 2009. We moved to Southern California in 2010, a few shorts months after vacationing here. Here’s the quick version of our move here, which I’ve shared with a few of you privately, but now here publicly: We’ve always been drawn to California and after being raised in Texas and moving around the country, my husband was laid off at his job in Kansas City in May 0f 2010. Since we had already paid for our trip that summer, we visited SoCal again (La Jolla, specifically) and visited Disneyland, of course. We had a lot of fans supporting our move and we had a lot of people who had simply thought we lost our minds. But, my husband and I have always felt that life was meant to live passionately. And, so we sold half of what we owned, put our house up for lease and headed west to unknown territory. Spoiler alert: It was the best move we’ve ever made in our lives. A few tough times followed and it’s been no cake walk finding work, but we’ve stuck together and have made this dream of ours a reality. 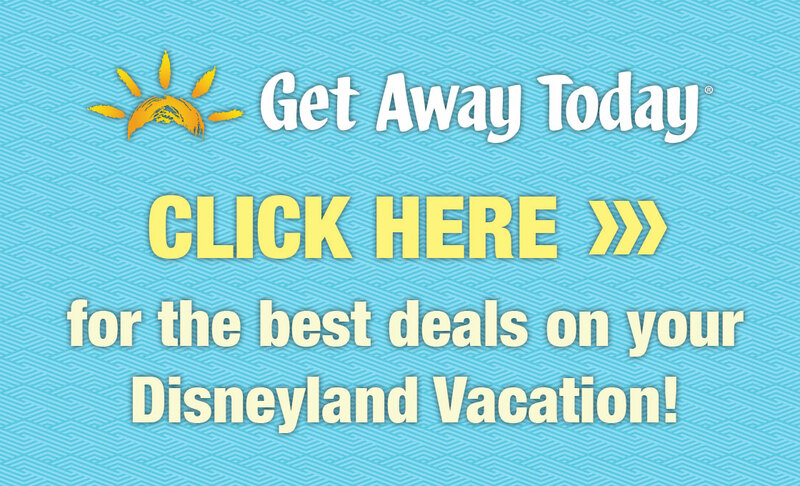 Disneyland, an hour from our new home, sweetened the deal. 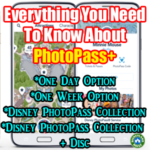 So, from our tourist visits and now local visits, I’ve compiled a list of 10 of our favorite things to do at the parks. 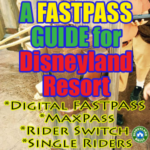 This may differ from my Best of the Best at Disneyland and California Adventure post, in which I detail what not-t0-miss at each park. 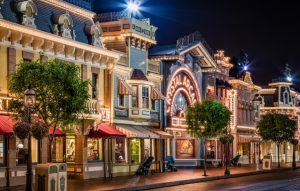 We all have our favorites and that doesn’t mean that my or your list will line up with what I (or most) deem as the best attractions in each park. 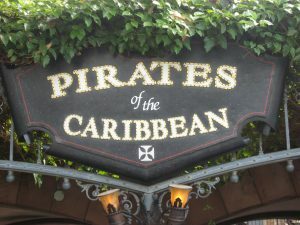 The previously mentioned Best of the Best post absolutely includes what I recommend as the best in each park, but when you add your own experience, your own stories, your own silly occurrences at each attraction, a feeling is attached to certain places on each person’s list and I doubt that 2 would ever be the same. Without further adieu, Here’s my list! 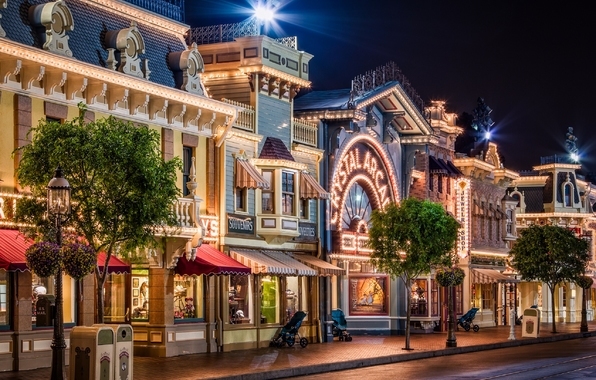 I’ve been known to tear up walking down Main Street, overcome with the charm and happiness of it all. 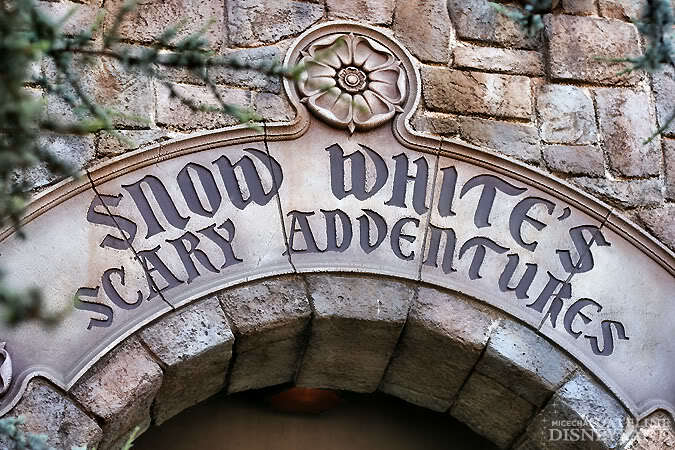 I love reading the names on the windows and pondering how each of these super influential Disney legends contributed their own magic to this land we know and love. I enjoy window shopping, browsing the magic shop with my sons, grabbing coffee at the Market House and sitting in the “library’ connected to it. The holidays make Main Street even more adorable and I could walk for hours taking it all in, finding inspiration from the decor and relentlessly begging the shop owners to sell me those darling banners they hang (and don’t sell) in the windows. The Candy Palace feels like I’m walking back in time. It holds such nostalgia and the design is beautiful. I heart Main Street. 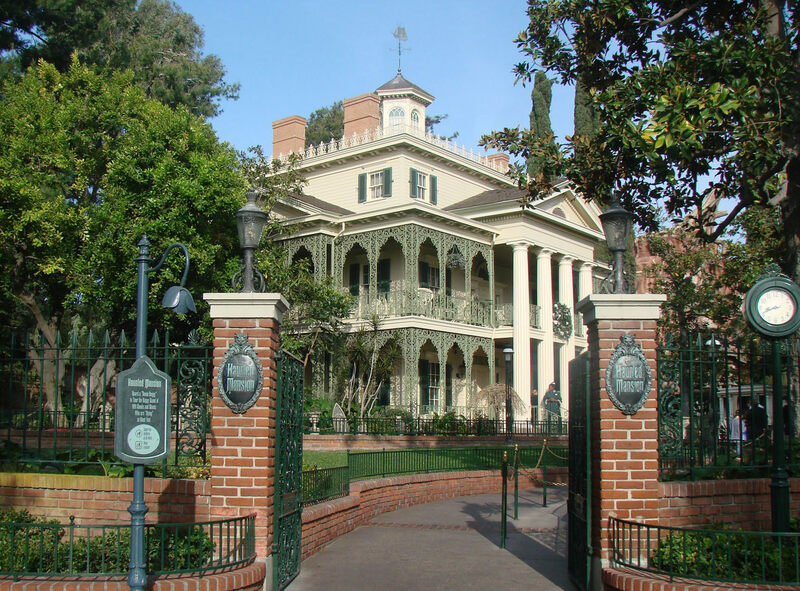 The Haunted Mansion is special to us for many reasons. It’s a rite of passage for little ones in our own family, even though they’re actually quite brave compared to most children and will do and ride just about anything. 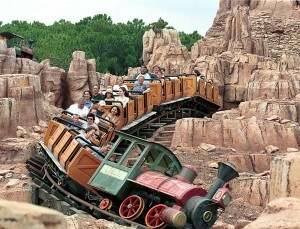 But, it can be a bit scary, so taking each of our young children on his or her first ride will remain a fun memory for me. We’ve toured the Pet Cemetery and it’s super cool. 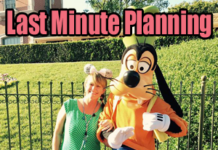 Politely ask a cast member if they have the time to walk you over. Are there pets buried there? Not sure. 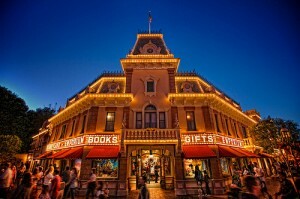 But, that’s part of what we love about Disneyland…..wondering what is rumor and what is true. I’m a “dark” person at heart, meaning I like weird and creepy things. 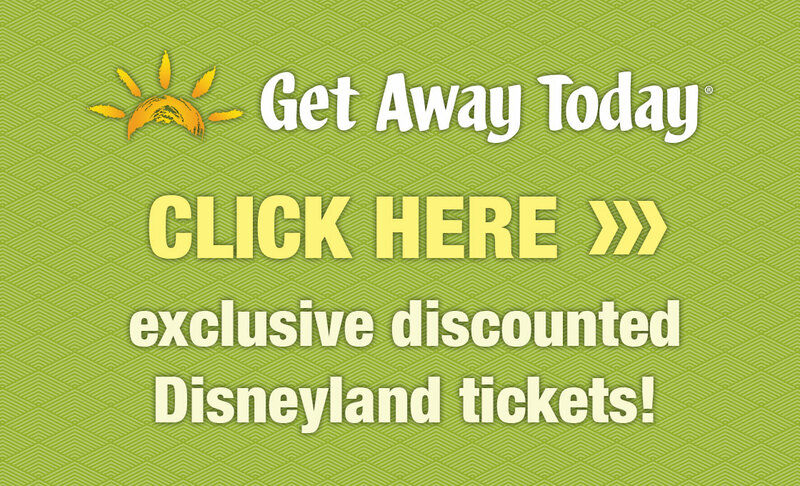 That’s why I like Disneyland as much as I do. There’s so many hidden agendas behind so much of what the imagineers do. It’s all so fascinating to me. The 4 ‘dark’ rides in Fantasyland (behind the castle) are some of my absolute favorites and we ride these almost always after 10pm. Most respectable parents have taken their children home by this point (not me) and the lines are super short. 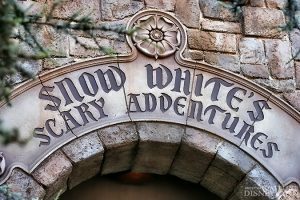 Snow White’s Scary Adventures (all time favorite), Pinocchio’s Daring Journey, Mr. Toad’s Wild Ride and Peter Pan make up this foursome and they’re each magnificent in their own way. They can be scary, however. 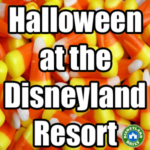 Be prepared before your visit and know which rides might frighten little ones. 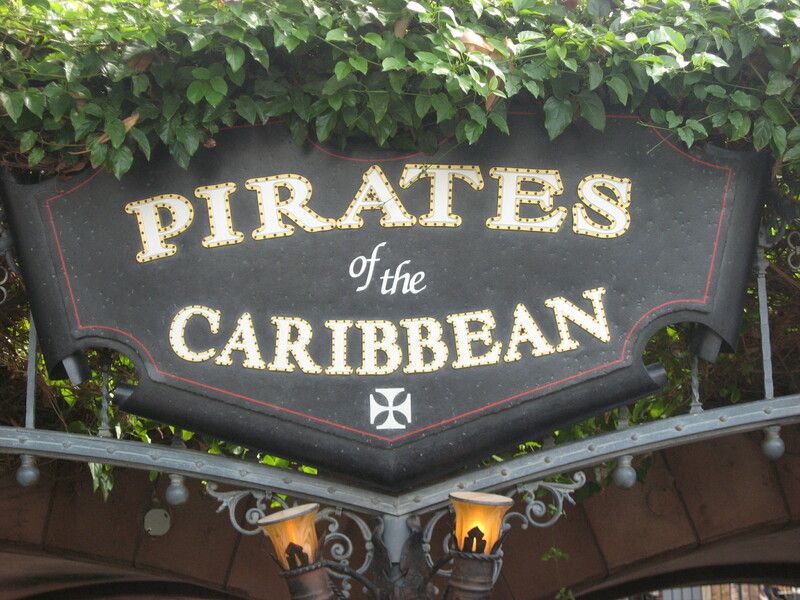 Pirates of the Caribbean is so beautifully themed and executed, it’s hard to argue with it being one of the best attractions in the park. We know all the ins and outs and take notice when little details are missing. For example: the crab on the first island was missing for about 9 months. We look each time to see if she is there now. The little things like this make us love this ride and we love discussing the changes over the years. For example, the men used to chase the women round and round about 2/3 through the ride. Disney reversed that, I’m assuming to be more politically correct, and now the women chase the men. We also love cruising by Blue Bayou, which is a special place for us to celebrate birthdays. Before Great Moments with Lincoln starts in the Opera House, a 17 minute video is shown in the lobby and it covers Disneyland’s first 50 magical years. 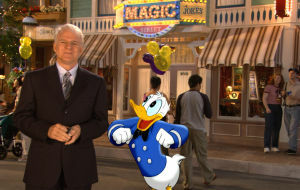 Steve Martin (who worked in the Magic Shop on Main Street eons ago) narrates with Donald Duck. 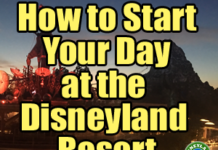 We love this because it explains how Disneyland came together in one year, how opening day was a disaster of sorts and how mermaids used to swim around where Finding Nemo Submarine Voyage is now. 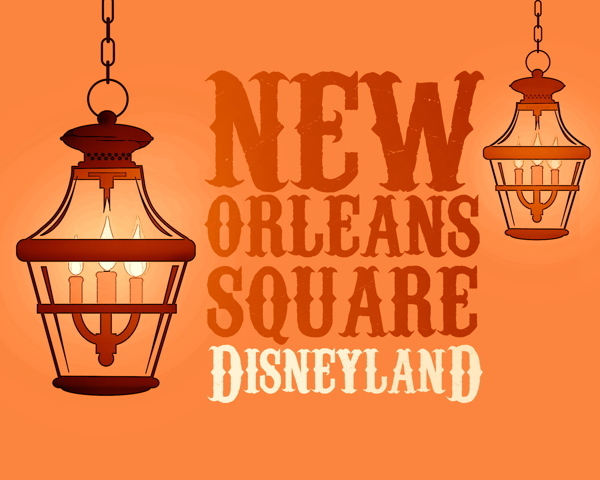 The layers of Disneyland intrigue me most and this video highlights so many of the kooky little things that make Disneyland so special. I try to watch this video each time we visit. I always know we have a winner when those words are spoken before we even stand up from our seats. BTMRR is amazing. I went to school at LSU, so I’m partial to all things Louisiana. The French Market has always been one of our favorites and we love the food, atmosphere, and views. The jazz band, often throwing Mardi Gras beads, thrills the kids and when they were littler and “not so cool”, they danced in front of the stage. 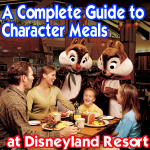 Favorite foods here include the salads, children’s mac-n-cheese (for my picky eater), and of course, the beignets. Whether it’s the old school Cafe du Monde variety, pumpkin or gingerbread, there’s rarely a visit for us that does not include beignets. 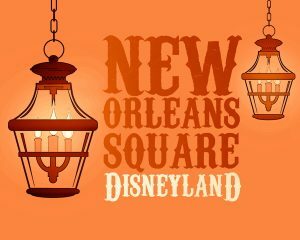 The stores of New Orleans Square are as delightful as the courtyard adjacent to it, near The Haunted Mansion. We love to peruse through all the goodies, with a big emphasis on Jack Skellington. The feeling of that area feels like New Orleans, minus the bad behavior and undesirable smell of Bourbon Street. Just between Royal Street and the Royal Street Veranda, you can often find the jazz musicians on the street playing similar music to what they do on stage at The French Market. They’re even more interactive there, they pose for pictures and throw beads. My children love this. 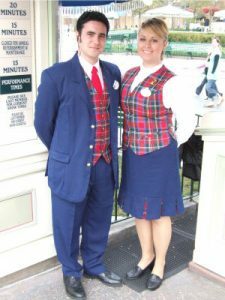 One of our all-time favorite things to do at Disneyland is to visit with cast members. Without fail, we’ll need to ask a question about this or that and then eventually end up chatting just for fun. We often ask them to tell us something we might not know about the park. We preface it with the fact that we have read books and know a few things, but then ask if they could teach us something new. 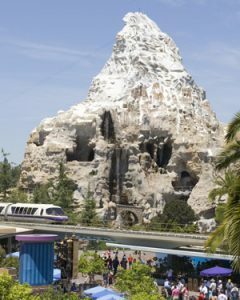 The Matterhorn is a special ride for us because it’s the first thing we typically see driving in from the highway. In many ways, it’s an icon for us…..signifying the fun ahead…..as soon as we see the peak of the mountain. All of our family loves this ride and the Yeti is a favorite for our Bigfoot obsessed middle child. We love it during the day and seem to gravitate toward it during fireworks time because you can see so much as you travel in and out of the mountain. 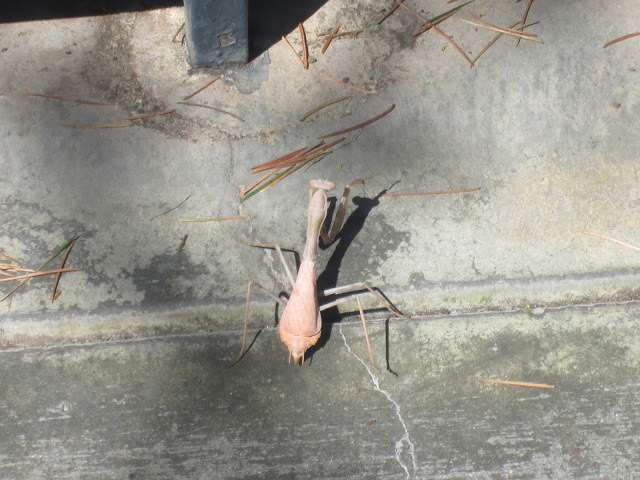 We once found a preying mantis in line next to us (no joke). It was pink, of course, and cute. Just like everything else at Disneyland. 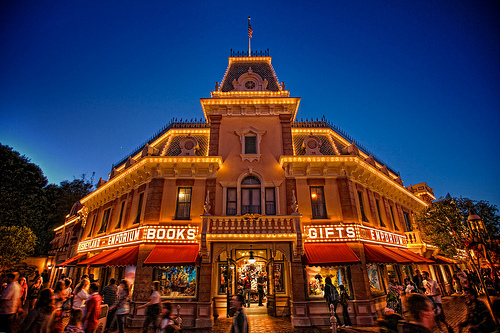 Shopping at the Emporium is a ritual for us and always a last stop during our visits. 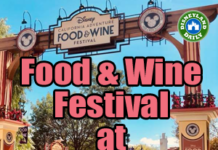 I prefer it over World of Disney (located in Downtown Disney) because it has more of what we are shopping for and it’s a more concise experience. I also love the little pockets of design on the perimeter of the walls, above the cash stands. 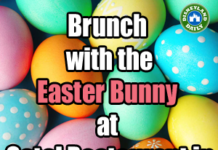 Check those out when you’re there. We don’t get souvenirs each time we visit, but when Aunt Caroline is town, she often treats the kids to a toy and she buys for other nieces and nephews, too. This store really does have everything. It’s typically a zoo around closing and a smart planner would avoid this time to shop, but it doesn’t bother me. I like to watch others shopping for something special for a loved one at home or finally getting that Ariel doll their daughter begged for during their visit. It’s a special place for us. 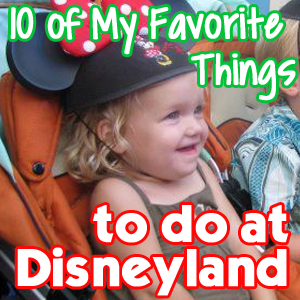 I specifically limited this list to 10 because I could go on and on and on about all the little (and big) things I love about Disneyland. And, if you were to ask me a year from now, this list might be different. That, too, is what I love about the parks. They keep evolving….to keep us coming back…..to keep our love alive. What’s on your list? Find me on Facebook and let me know! Wonderful and I agree with everything on your list. When I was young my family went to Disneyland for our summer vacation for six years in a row. When my brothers were older they moved to the area and even worked at Disneyland. Also went there on my honeymoon.